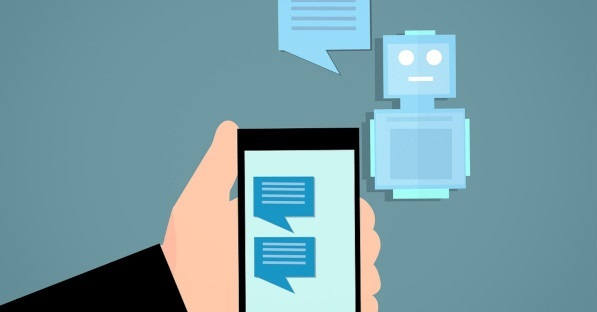 Actually the artificial intelligence has been progressively used in many processes and activities related to the digital environment, as one of its applications are the chatbots. They offer an efficient online customer service solution, including a fully automated interaction with customers by saving time and increasing consumers’ activity. As it is a new trend, many businesses are not enough familiar with how exactly these new technologies are functioning. 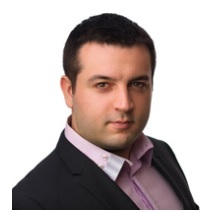 Dimitar Dimitrov, founder and CEO of Oxxy Group PLC and the website building platform www.oxxy.com is explaining what are the benefits of using chatbots and how these applications can contribute to the business development. Mr. Dimitrov, what do chatbots represent and how they can be useful to the corporate online communication? – Chatbots are part of a new market trend related to the digital environment and artificial intelligence. Simply said, they represent a computer program, which simulates in an interactive way a communication thread with customers using previously programmed conversation senarios. We can also call chatbots virtual assistants. They are able to communicate with consumers on different matters related to the company products and services. Chatbots can be also used to send simultaneously messages to more than one users, which is similar to emailing or newsletter campaigns. The first chatbot was named Elisa and has been created in terms of program code in 1966 in USA by Joseph Weizenbaum, a scientist from the Massachusetts Institute of Technology. The chatbot can be integrated to websites, mobile applications or to different kind of chat services, as Facebook Messenger, for instance. Chatbots are some kind of an alternative to the human intervantion when it is about of a live chat conversations. Their usage is growing constantly and became more widespread. What are the concrete advantages for the businesses to use chatbots? – When using chatbots, the communication is much faster because the whole process is absolutely automated. Chatbots “don’t have a working time”, they function 24 hours/24. Moreover, compared to the customer service mail communication, they are much more efficient. The statistics show that the average open rate of a chatbot message, especially when it is integrated with Facebook Messanger, can reach from 80% to 100%, which rarely can be true for the email communication. First, it is due to the fact that consumers’ mail boxes are overloaded by all kind of messages, including spam, which make customers ignore most of these messages. At the same time, still, Facebook Messenger is mainly used for personal communication, so it is not so overloaded by spam and commercial messages which makes it very efficient. Somebody could ask if the chatbot by itself is not a spam. The answer is no because in order to receive chatbot messages in their Messenger, the consumer should have given already their consent. In this case, there are only advantages for them by this type of communication as the possibility to be always informed about the products and services they want. In addition, the consumer can easily cancel the automated messages and communication by unsubscribing from the chatbot. There is always such an option in the chatbot menu. Not least, the chatbot messages are able to stimulate a very high interactivity among online users. The reason is the communication channel characteristics, in particular the chat conversation which is a more unformal and fast communication format. Users are readier to answer and ask questions in the chat, instead through emails. This kind of communication predisposes the online users to be more interactive. Another advantage is that the chatbot platforms can be used as CRM (customer relationship management) systems. Some of them allow to tag users with specific tags corresponding to the conversation topic or other activity which can happen automatically or manually. This can be extremely useful from marketing point of view creating consumer profiles and personalizing and segmenting further the communication with users. The chatbot platforms assure as well detailed statistics related to users activity as link clicks, message open rate, click through rate etc. Which are the main chatbot applications on the market and for what kind of services they can be used? – One of the chatbot application is into the customer service relationship to provide useful information to users about company products and services. Considering that in the most cases the questions that ask the customers are similar, the chatbot can be perfect to give standardized answers which are previously programmed. Another application is during an online purchase or payment process when the chatbot can remind to a customer about a left shopping cart or lead them through the various steps of the payment process. The cahtbot can be also used to send regular and programed in time communication, as the Oxxy weekly advices related to our Freelance program and online shop experience. It is about sequences of already programmed messages, set to be sent at a certain hour to all consumers who gave consent and have a specific tag, for example. How can a company integrate a chatbot in its communication channels and starts to use it? There are two ways to do this: the company can develop an own chatbot application, if of course, has the necessary internal resources in terms of budget and experts or assign this task to an external agency. This approach is used mainly by the big companies. The alternative way is (more suitable for small and medium enterprises) to use ready-to-use chatbot platforms as for example ManyChat, Beep Boop, ChattyPeople, Botsify, Smooch.io. Their application should be installed on the company website or on its chat platform and set up for the needs of the company. In addition to the main website building services that Oxxy offers through its platform, we have also additional services aiming to help our customers building successful online projects. One of them is the installation of a chatbot offering also trainings how to use it. Everyone who is interested to use chatbots for their company customer services can contact us and make a quotation request to support@oxxy.com.